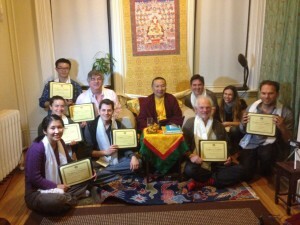 Zurmang Gharwang Rinpoche presented certificates to the Zurmang Kagyu Boston group students who completed the meditation course in Boston. 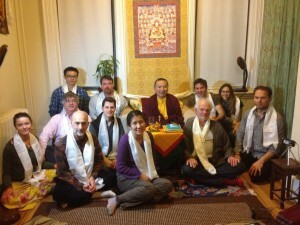 For the last six month the students have been learning and practicing meditation under the guidance of Rinpoche. The students are now looking forward to the next course, starting later in the year, on the Bordo Thodol which is popularly known as the Tibetan Book of the Dead.